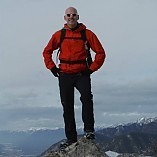 There are plenty of reasons to visit the great outdoors – vistas, solace, adventures, and inspiration – but unfortunately, a comfortable place to sit is not among them. Although a log or stump may suffice in times of great need, nothing can hold you above the pine needle-filled ground better than folding camping chairs. 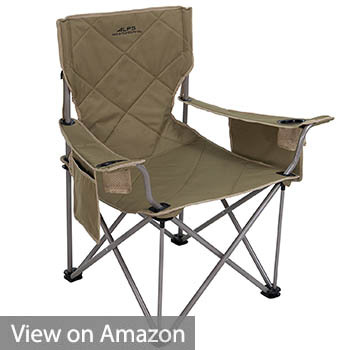 The ideal folding camping chairs will be your closest confidant in outdoor comfort. You will be tempted to carry them to every outdoor event, and even set them up on your back porch for a particularly beautiful summer evening. As much as you use them, you don’t expect them to fall apart or start wearing after a month’s use. 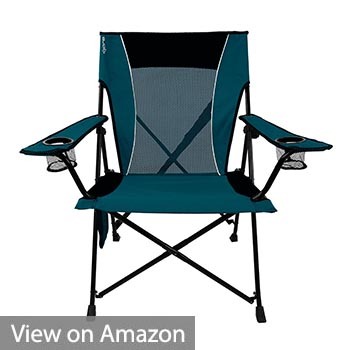 For this reason, the baseline when selecting the best camping chair is ease of use, durability, sturdiness, and portability. The 9 selections on this list, on top of the baseline, have a couple of non-standard features such as rocking, reclining, and cooling your beverages. 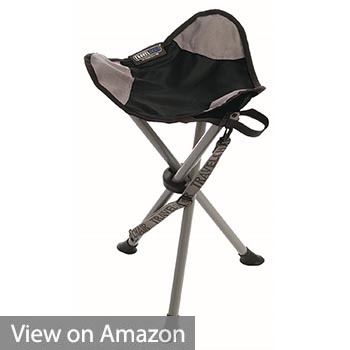 Whatever you plan on using the folding camping chairs for, be it tailgating, camping, or backpacking, you will find something that best suits you in this review as we have covered all the various distinctions. The Coleman Quad is a solid, all-around performing folding camp chair. It is very comfortable, simple to assemble, durable and reasonably portable. It has a cup holder that can hold up to four 12 oz soda cans so you won’t have to use the ground. The side pouch increases the functionality of the chair as it can hold many items at once, for example, a shirt, book, hone, snacks, and sunscreen among other things. Coleman Quad has an average score in terms of durability. Assembling it is easy and can be done by anyone at any age. Setting it up is a simple as pulling on the two opposing vertical legs, and it takes over from there. Kijaro Folding Chair is reputable for its comfort and support. It is designed in a relaxed upright position (for additional back support) that is perfect for a nap or reading a book for long durations. The ventilated back panel mesh featured makes it also ideal for long lounge sun sessions. This is so as it prevents your shirt from getting soaked with sweat. What makes the Kijaro so easy to carry around for long distances, apart from its lightweight, it the built-in carrying strap. This strap also eliminates the need of having to pack it in its storage bag for travel. It is very simple to set up. Once you press the lock/unlock button, you just pull it apart like other models. This stylish and comfortable rocking chair is designed with a patented spring-action rocking technology. 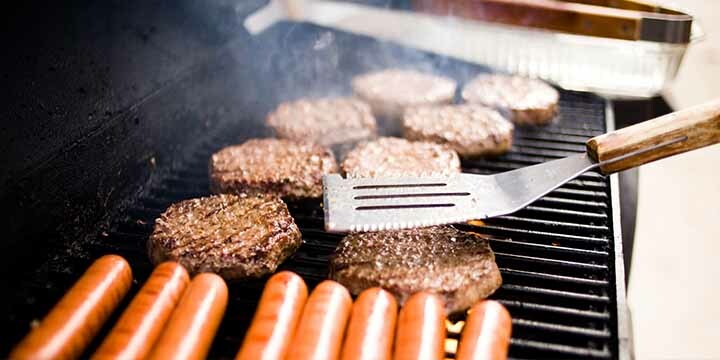 It is very versatile and can be used for various purposes such as tailgating, camping, or backpacking. The frame of the GCI Outdoor chair is made of a sturdy but lightweight steel and coated with powder for durability. It is designed with the Eazy Fold Technology that makes setup very simple. It also has a convenient cup holder and a carrying strap to further its portability. When it comes to durability and sturdiness, the ALPS is a beast. It is capable of outlasting years of aggressive use. Its seat is padded, giving you premium campsite lounging. Aside from padded seats, this chair has sufficiently large armrests with a surprisingly large amount of storage. The seat and backrest, however, retain water after a downpour. Its large size does not allow for complete portability. Nonetheless, it is simple to set up and take down, requiring only a few seconds. 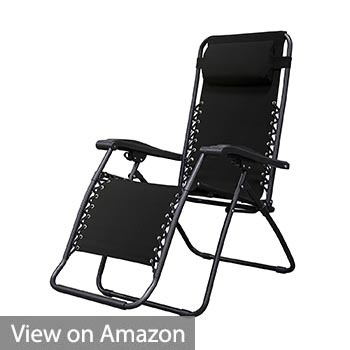 This set of two chairs have the highest score in portability of all the chairs on this list. Their innovative craftsmanship is designed to emulate the weightlessness of outer space – and it delivers. 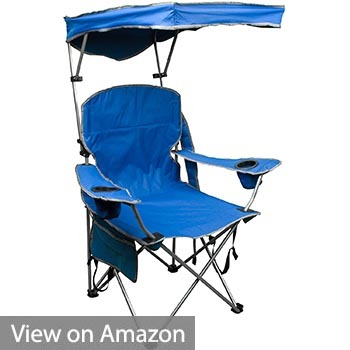 Its steel frame construction features a removable pillow and a UV-resistant mesh seat. Its storage tray is detachable to simplify set up and taking it down. The elastic cords featured are replaceable if the need arises. 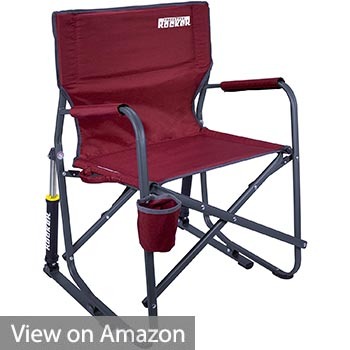 This folding camping chair is the perfect blend of portability, durability, and comfort. It weighs a mere 1.9lbs but can hold a surprising 275lbs. Its selling point is in its portability as it folds down to the size of a rolled newspaper. The Travelchair is made from a heavy tubing and coated in a rust-resistant powder. 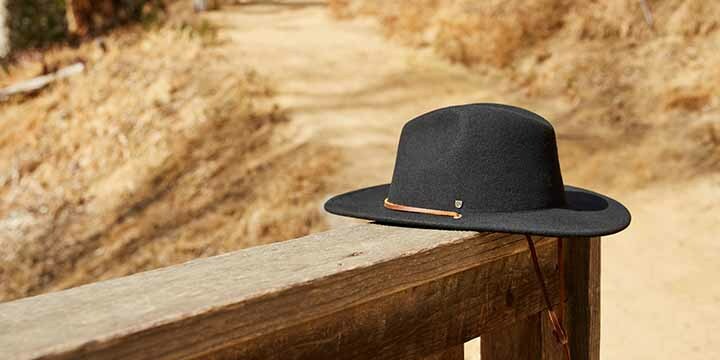 It is sturdy and made from an abrasion resistant fabric. The best thing about this zero-gravity chair is perhaps its ability to recline. It is also very comfortable, featuring a headrest and back support for the best experience. With a breathable mesh backrest, you can nap in the sun comfortably. The Chair is not entirely portable as it doesn’t fold down completely. It is not very durable as a sharp jerk could change the position of recline even with locks in place. It is simple to set up and take down. These classic folding chairs are sold in pairs, and are very lightweight and portable, weighing only 7lbs. 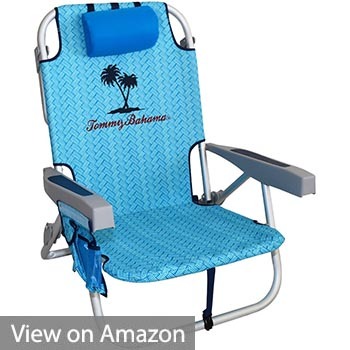 Tommy Bahama is made of a rust-resistant aluminum frame with a high-quality polyester seat for durability. Its design includes a cup holder and covered pockets to hold personal items. 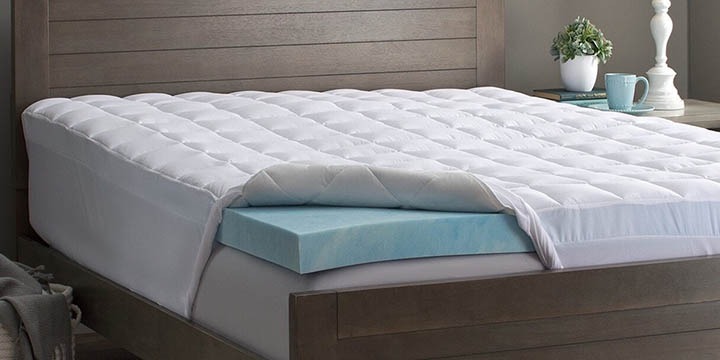 It is very comfortable thanks to its padded headrest and adjustable pillow. It is also simple to carry as it features backpack straps and a tote bag. Quik Shade is a lightweight and portable chair thanks to the convenient carrying bag with shoulder straps. It is easy to set up and take down, requiring only five seconds. The Chair has a sturdy stainless steel construction, complete with a polyester fabric for durability. It can hold up to 225lbs. Its best feature is the adjustable canopy. If you don’t want to enjoy the sun anymore, just pull on the included canopy that can change angles in respect to the sun’s position. We know there are many options available in the market, so choosing the best folding chair may be a daunting task for many, but with the following tips, you will undoubtedly be in a place to buy the best folding chair for you. As expected, most folding chairs are made of different materials. 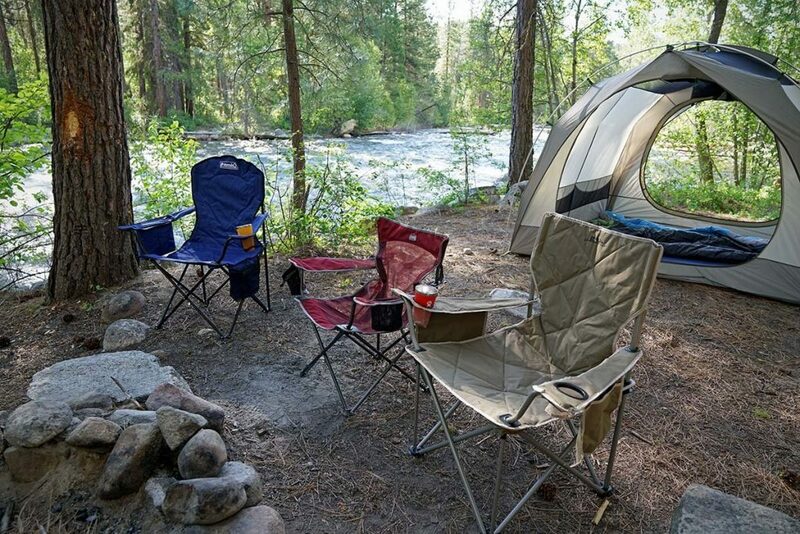 For camping chairs, it is very important that they are made of a water-proof material due to unpredictable weather. So, nylon is the most common fabric since it is durable and water resistant. For extra comfort, some chairs are made with a more foam padding. However, with the added comfort, these seats are much heavier. For the frame that supports the seat, it is best to choose aluminum since it is cheap and light in weight. Different chairs are made to support different weights. If you are buying chairs for use by the family or a large group of people, then it is imperative that you buy those with a large carrying capacity. Always be sure to check this capacity to avoid unexpected accidents when enjoying that beautiful sporting or camping afternoon. The size and weight of a chair is a crucial factor depending on the intended activity. If you plan to travel in a vehicle for camping or that sporting event, then the weight may not really matter. But if you have to move a lot and carry the chair from place to place, then a lighter and smaller chair may be best suited for you. Most of the time. lighter chairs are not as comfortable as the heavier ones. Therefore, there is a trade-off between comfort and convenience. With the above tips in place, it is also imperative that you know the different types of folding chairs which will help you when looking for the most suitable chair to buy. 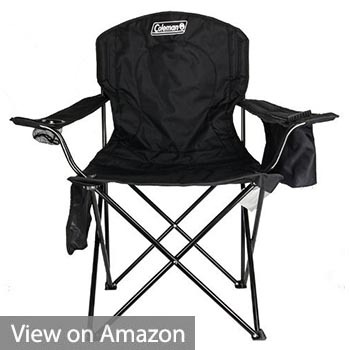 Regular folding chairs are the most common types of camping and sporting chairs you will get. 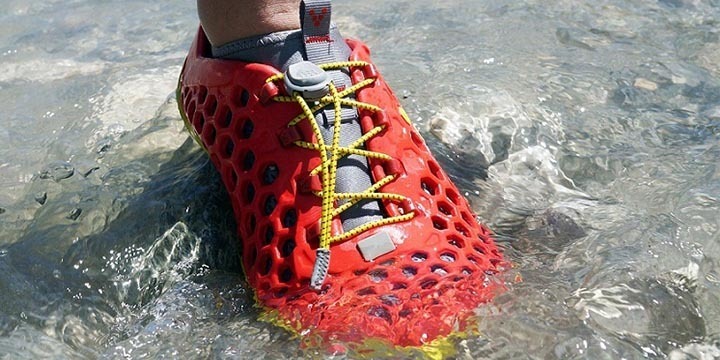 They blend comfort and convenience by being mid-weight and average comfortable. If you are unsure of the type of chair you would like to buy, then this category is well suited for you. Minimal chairs as the name suggests are made with a minimalistic approach. They are made for convenience with little comfort. 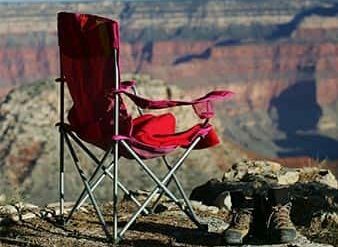 Minimal chairs are perfect for camping and hiking activities where you will not sit down for long. 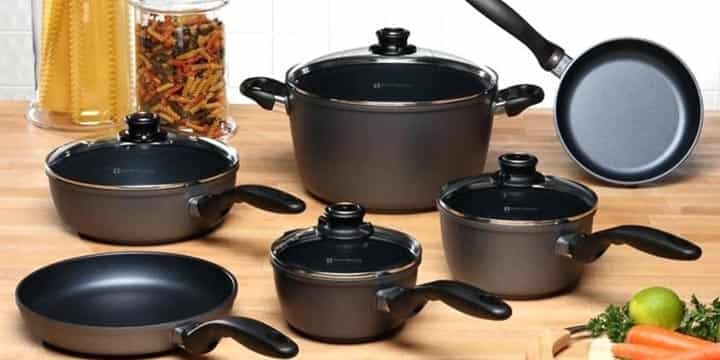 Their advantage is that they are very portable and easy to carry around. Elaborate chairs are completely opposite to the minimal chairs. They are normally large and bulky. On the plus side, they offer the best comfort you could look for in a foldable camping chair. Some of them have more features such as recliners and even leg rests. 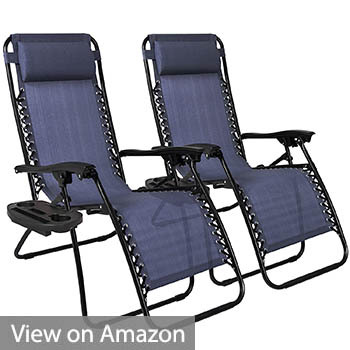 Needless to say, these are also the most expensive camping chairs you can get on the market. Depending on the type of outdoor activities you will be taking part in, you can choose from one of the three foldable chair classes to get your best pick. Always look at the features being offered on every chair before making your purchase. 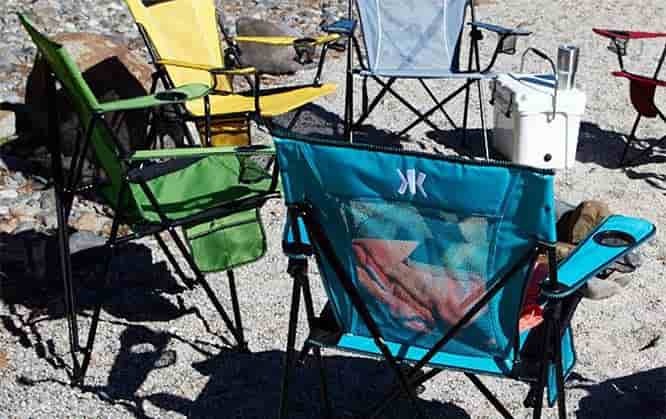 Whether you have done it for a while or you want to try it out, sturdy, portable, and durable folding camping chairs will make your experience more comfortable. You will be able to enjoy the outdoors without sacrificing comfort. If you have found your selection from the above, well, all I can say is that I am glad to have been part of your journey. Very helpful reviews! I had bought Quik Shade Folding Camp Chair to make you a part of my journey. It’s really awesome. Thanks for your guidance.